We already know that many essential oils can kill viruses and bacteria, but did you know they can also treat pesky fungal infections? While the presence of some bacteria and fungus in our body is completely normal, problems can arise when they become unbalanced. 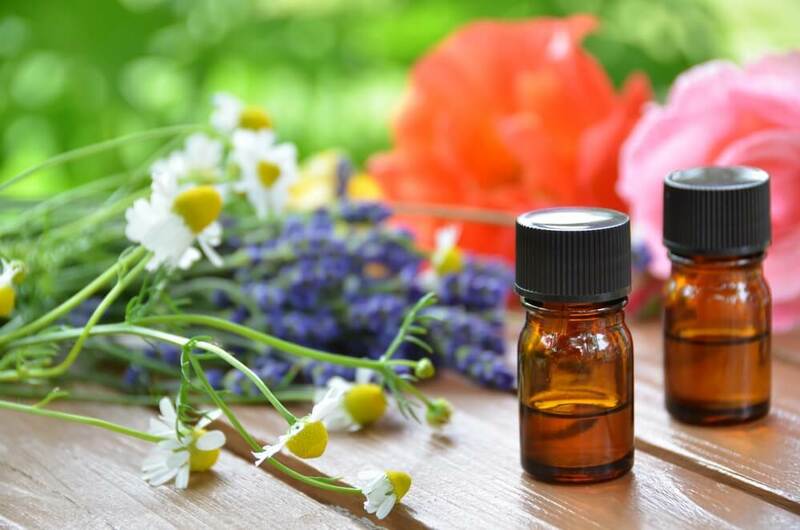 Fungal infections can be difficult to treat; luckily, many essential oils possess strong antifungal properties to treat even the peskiest fungus. People often rely on over-the-counter medication to treat fungus, but these treatments can result in nasty side effects. Additionally, your body can build up resistance to traditional antifungal medication. Essential oils are a safe, healthy alternative. When used correctly, they won’t cause harsh side effects. Even better, your body won’t develop a resistance, so they will remain effective over time. There are several ways to treat fungal infections with the use of essential oils. They can be diluted with a carrier oil and applied directly to the skin, which is effective against candida and skin fungal infections. Just make sure to dilute it properly and always do a dot test on a small area before applying to a large area. For athlete’s foot, add a few drops of essential oil to a warm foot bath and soak the feet for up to 20 minutes. Some forms of essential oil can be ingested to treat internal fungal infections that might affect the intestines. However, ingestion of essential oils can lead to negative side effects if done incorrectly; always consult with your doctor if you’re unsure. No matter the fungal infection, essential oils can be used to soothe symptoms and kill off the fungus. We’ll take a look at some of the most effective oils. Recommended by Dr. Eric Zielinski as the #1 antifungal essential oil, tea tree oil is a safe and incredibly effective antifungal treatment. It has been proven especially effective at treating strains of candida, which cause uncomfortable yeast infections. Athlete’s foot, jock itch, ringworm and nail fungus can also be treated with tea tree oil. In general, it is gentle enough to be applied directly to the skin. If you have particularly sensitive skin, dilute it with a carrier oil (such as jojoba oil) and apply directly to the affected area. Never take tea tree oil internally. Like tea tree oil, studies have shown that clove essential oil is a powerful combatant for candida. Even drug-resistant fungus showed a response when treated with diluted clove oil. Athlete’s foot can also be treated through topical application of diluted clove oil. It can be taken internally for intestinal candida or used as a rinse for oral candida. However, it is important to heavily dilute it before consumption; a few drops in an 8oz. glass of water is sufficient. Start out with small amounts, as large amounts can lead to unpleasant side effects. Despite its more known use as a kitchen ingredient, oregano possesses powerful antifungal properties. It has been shown to be effective against candida as well as skin and nail fungal infections. For a yeast infection, diluted oregano oil can be applied directly to the affected area. A few drops of the oil into a foot bath are an effective treatment for athlete’s foot. Cinnamon is one of the most powerful essential oils in terms of its antibacterial, antiviral and antifungal properties. When tested against fungal keratitis, which affects the cornea and causes eye infections, it proved to be the most effective essential oil. Additionally, it can be used to treat other common fungal infections such as yeast infections, athlete’s foot, ringworm and jock itch. Just be sure to dilute it fairly heavily before use as it can have an irritant effect on sensitive skin. Like oregano, thyme is known primarily as a culinary ingredient. Despite its primary use in the kitchen, thyme’s essential oil is a powerful antifungal treatment. On top of treating fungal infections, it has been shown in studies to be effective against 7 common food-related bacteria and fungus. For skin and nail fungus, thyme oil can be diluted and applied directly to the skin. However, it is a very potent essential oil and should be diluted with a carrier oil. To make sure you won’t have a reaction, do a small dot test before applying to multiple areas. Fungus can be a stubborn and difficult-to-treat nuisance. Although over-the-counter medications may prove effective for a period of time, fungus can become resistant to traditional medicines, making it even harder to treat. Using essential oils is a safe and effective way to rid yourself of pesky fungus, whether it’s a case of ringworm or athlete’s foot.